Professionalism in the discharge of duty is the hallmark for efficiency and effectiveness in every work environment and also a tool to deter non-compliance with rules. Ironically, those who are expected to uphold this said professional ethics are the very defaulters leaving a large gaping hole of gross indiscipline and misconduct. 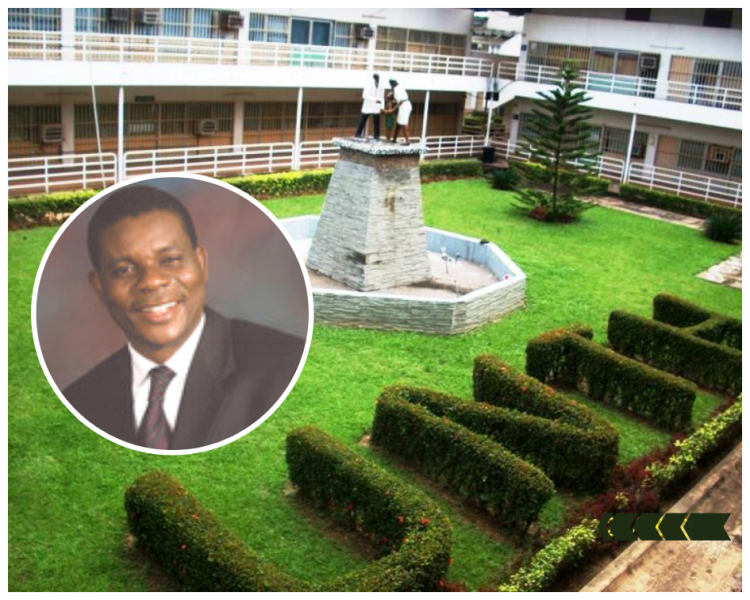 Information reaching SecretReporters reveal that Dr Christopher Amah, the Chief Medical Director of University of Nigeria Teaching Hospital (UNTH) Ituku-Ozalla Enugu may have displayed an act unworthy of emulation by disregarding the code of conduct guiding professional work environment as he is alleged to have become an ambassador of immoral affairs with female staff members of the hospital. A knowledgeable source within the institution squealed to SecretReporters that the CMD has allegedly abandoned his wife, a senior nursing officer of UNTH to proceed with an unabashed affair with his mistress simply identified as Nnenna. This affair we learnt has been ongoing since 2017 and the duo has become quite a popular couple within and beyond the four walls of the hospital as Dr Christopher has not hesitated in making her his plus one at public functions and one who has total unrestricted access to his “Mumu Button”. It was further alleged that as the “sweetheart” of the adulterous CMD, his mistress; Nnenna practically runs the hospital as against her initial appointment as a data analyst (junior staff) as she has by a combination of factors risen to the top. “Even people coming for internship programs will testify to how they are forced to pay Nnenna’s Agents” lamented our source who further disclosed that Nnenna had virtually hijacked managerial duties and the employment process in UNTH. This repulsive action by the CMD has made the hospital nothing to write home about as it has become a lawless land over time with everyone doing as they so please without any supervision. A clear case of the what appears to be an institution whose head has been hypnotized or placed under the common spell of “As I dey talk, you go dey do”.